Jessica is a California native. She received her undergraduate degree at UC Davis and moved to Las Vegas to attend Boyd School of Law. 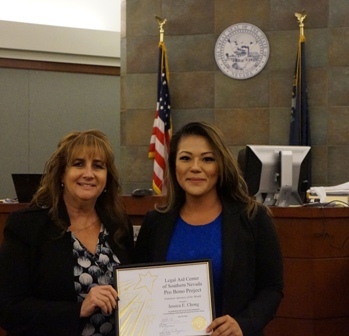 From the moment she arrived in Vegas, she was convinced that she would return to California; however, once she started to become immersed into the Las Vegas legal community, she realized how great it was to practice law in Nevada. After graduating from law school, Jessica worked as a consumer finance attorney and then moved to insurance defense. She is currently, in-house counsel with Progressive Insurance. For her commitment to pro bono, we honor Jessica Chong as the July Pro Bono Volunteer of the Month.